The Hall of Fame singer is known for her biographical hit "Coal Miner's Daughter," which became a book and a movie; "You Ain't Woman Enough"; "The Pill"; and "One's on the Way." 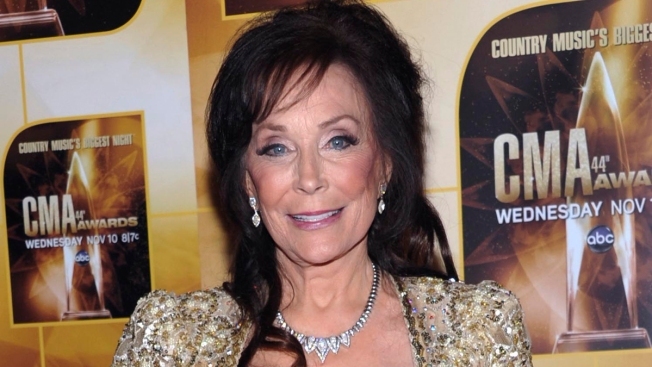 Country music icon Loretta Lynn has a fractured hip after a fall at her home in Tennessee. The 85-year-old singer-songwriter suffered a stroke last year that forced her to cancel her tour dates and delay a new album, but she made a surprise appearance at the Country Music Hall of Fame in October for Alan Jackson's induction.